Recent works on word representations mostly rely on predictive models. 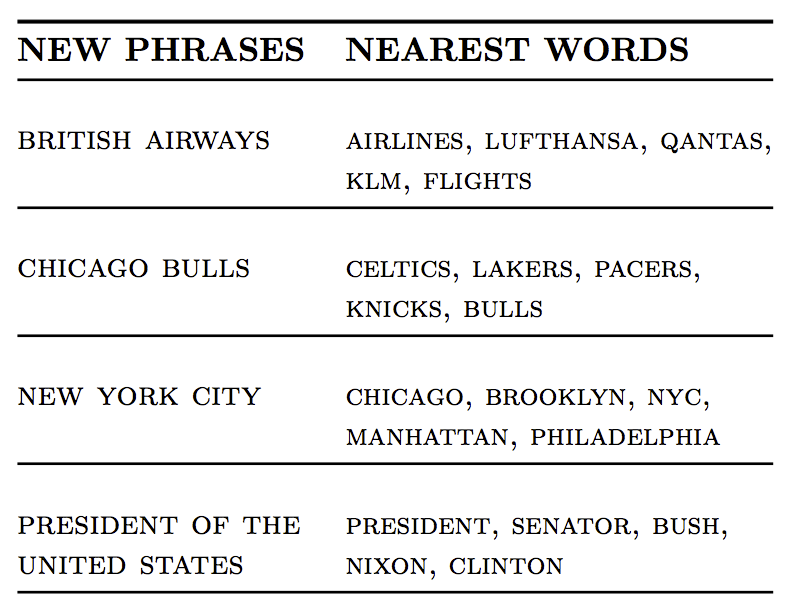 Distributed word representations (aka word embeddings) are trained to optimally predict the contexts in which the corresponding words tend to appear. Such models have succeeded in capturing word similarities as well as semantic and syntactic regularities. Instead, we aim at reviving interest in a model based on counts. We present a systematic study of the use of the Hellinger distance to extract semantic representations from the word co-occurrence statistics of large text corpora. We show that this distance gives good performance on word similarity and analogy tasks, with a proper type and size of context, and a dimensionality reduction based on a stochastic low-rank approximation. Besides being both simple and intuitive, this method also provides an encoding function which can be used to infer unseen words or phrases. This becomes a clear advantage compared to predictive models which must train these new words. In International Conference on Intelligent Text Processing (CICLing).